Dan Hamza-Goodacre, Executive Director of the Kigali Cooling Efficiency Program (K-CEP), a global initiative working in over 50 countries, will visit the University of Leeds. 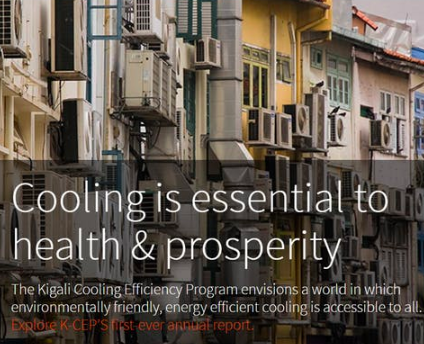 K-CEP supports the Kigali Amendment of the Montreal Protocol by focusing on the integration of efficiency with the phase down of highly polluting refrigerants. Dan has agreed to represent his keynote seminar “HOW TO MAXIMIZE THE HISTORICAL OPPORTUNITY TO IMPROVE COOLING EFFICIENCY” from the Third International ASHRAE Conference on Efficient Building Design that was convened at American University Beirut 3rd-4th October 2018. Dan Hamza-Goodacre will explain how the Montreal Protocol that has already avoided global warming and can contribute another half degree of avoided warming while delivering Millennium Development Goals.